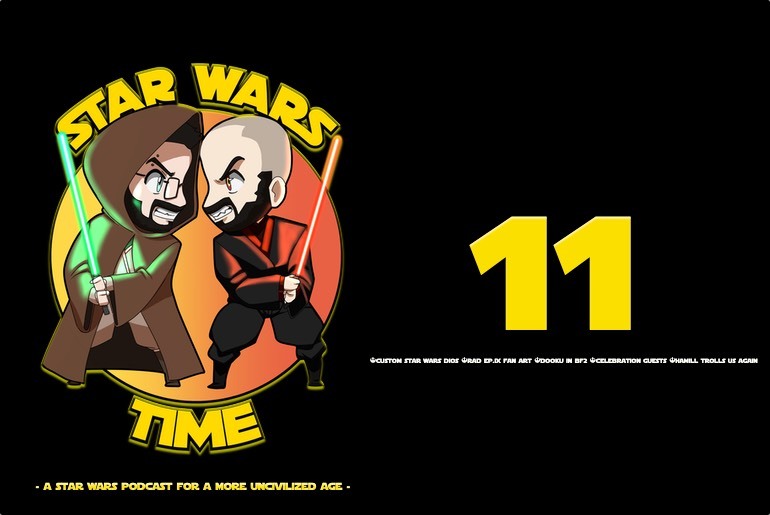 Welcome back Sith and Jedi alike to the Star Wars Time Show! This week on the cast, Matt and I take a little bit of news and turn it into a a true journey across the Star Wars galaxy. We open the cast with the newly dubbed Fandom section of the podcast. Moving forward Matt and I will dedicate the beginning of the show to all things related to the Star Wars fandom, eg: Toys, Comics, Video Games, and many other things. This week we discuss an awesome diorama from Dagobah Customs; CamVeeFX’s incredible fan created poster for Episode IX; a new series of comics that will delve into the story of Star Wars Galaxy’s Edge, and the infamous Count Dooku being added to Battlefront 2. We also talked about the work of Budfutu on IG, and the work of a few members of the Exclu Collective, so if you like Star Wars toys, make sure to check all of these accounts out. In the second half of the cast, we talk about Star Wars Celebration’s featured guests and the brand new poster reveal and a cheeky tweet from Mark Hamill that may have some hints for Kylo Ren’s character in Episode IX! Don’t forget to hit those follow buttons on our social channels and leave reviews on Itunes, Google Podcasts, or wherever else you listen to us!